Mora knives are no secret. Many knife users in the USA are well aware of the excellent quality and value that they offer. However, many knife users in the USA are also still hesitant about carrying them as their only knife in situations where an only knife can be very important (like backcountry travel) due to the perceived weakness of the light weight, partial tang, molded plastic handle design. 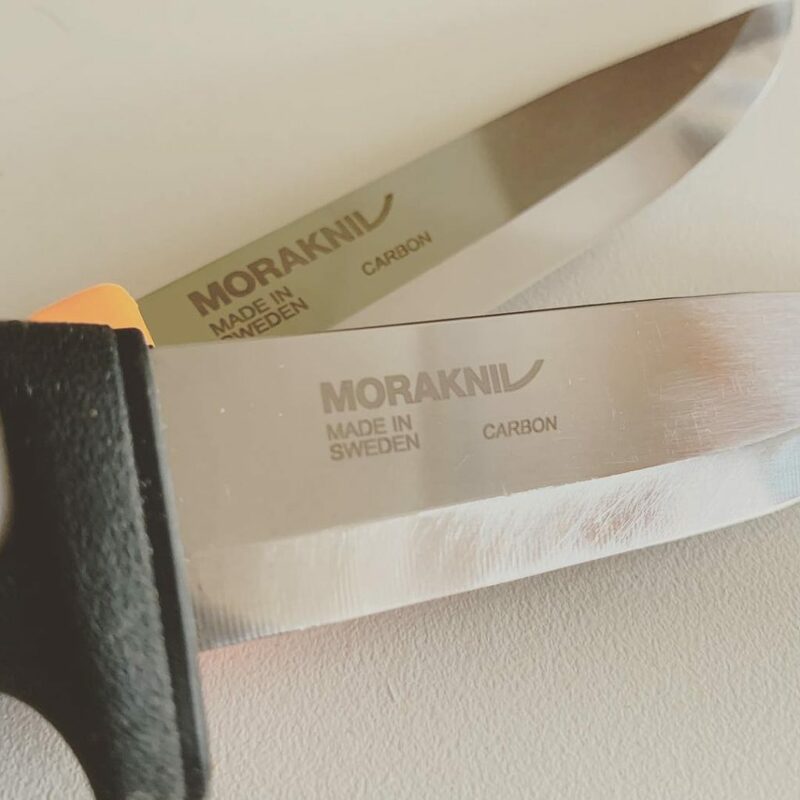 This is in spite of the fact that Morakniv has moved production toward longer and wider tangs across basically all of the current Mora knives. I feel that those fears are mostly misplaced or misinformed but I am also sympathetic to those who just want to have a bomb-proof tool they can count on. If that is you, I have good news. You don’t have to spend a lot cash to get a durable knife. You don’t have to carry 8-10 ounces of pack weight. You don’t even have to look outside of the Mora line. 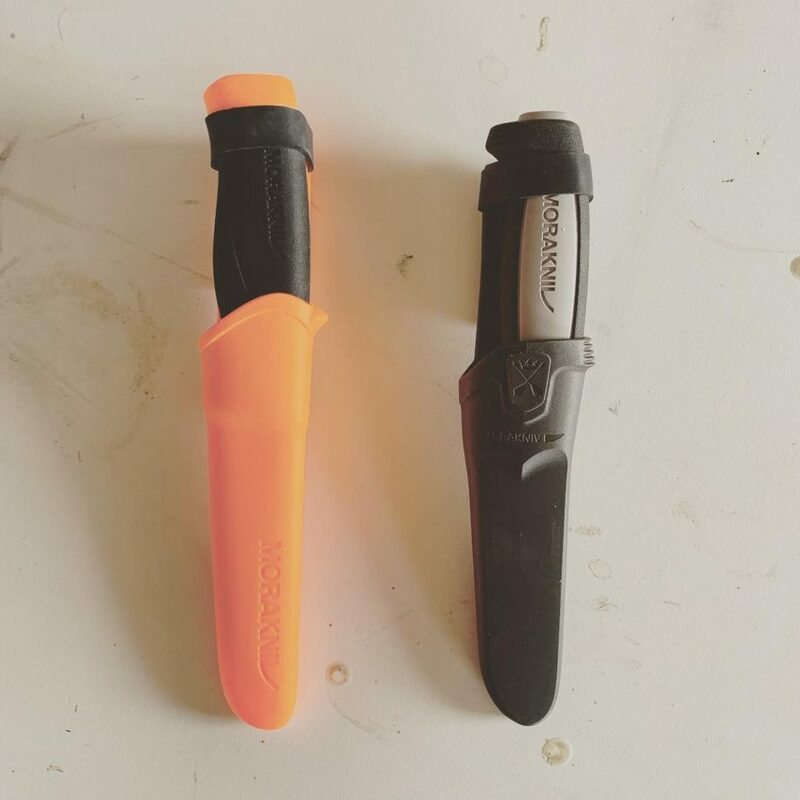 Let’s take a look at why the Mora Robust and Mora Heavy Duty Companion might offer the best value in the entire Mora line. The Robust is basically just a beefed up version the the Mora Craftsman line with its hand filling grip, ample guard, and taller, more drop point blade. The Heavy Duty Companion is a beefed up version of the Companion series. Both of these knives have very similar dimensions to the other knives in their respective lines with one key difference… They have thicker, 1/8″ carbon steel blade stock. This stock is considerably thicker than most other Mora knives in their price range but still thin enough to cut very well. These knives are more durable than other similar knives in their lines but they are still very affordable. The Robust sells for $10-15 and the Heavy Duty Companion with its longer blade and finished spine sells for $17-25. 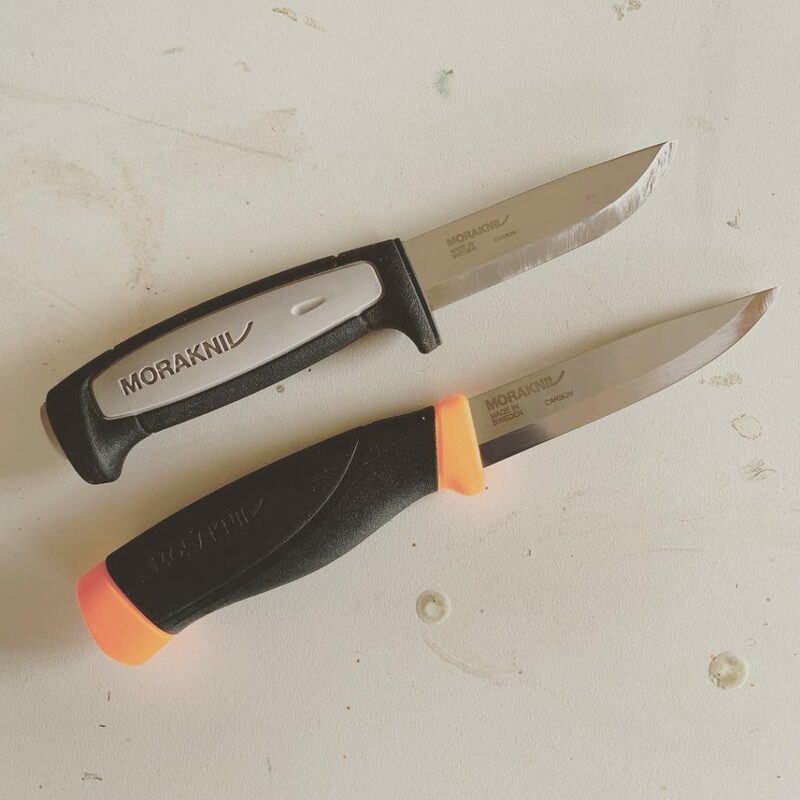 Morakniv offers other 1/8″ thick models but they all cost $40 or more. The Mora Bushcraft Black is often touted as the best value in the Mora line but these two knives together cost less than half of a Bushcraft Black while offering most of the functionality, all of the durability, and less weight. If you like the typical drop point blade shape (a very common blade shape in the US), the Mora Robust might be more your speed. It has a taller blade with a deeper belly than those we are used to seeing from Mora which will likely appeal to those of us in the US who are very used to this shape. It weighs just 135 grams or 4.76 ounces (including the sheath and the “ranger band” I use for secondary retention) with a 3.6″ blade. Don’t let the light weight trick you into believing this knife isn’t “Robust”. The tang is very wide and extends almost the full length of the handle. There are very, very impressive torture test videos online for this knife and I am confident in saying that it is a tool you can trust. The Robust feels great in the hand. It has a hand filling, rubberized grip and a full guard that ensure the knife stays put in your grip and is comfortable for long periods of work. If you like a pronounced guard or plan to use this for field dressing game, this might be the one for you. The Companion Heavy Duty has a blade shape more like what is typically seen on Mora knives. It is shorter in height and longer in length than the Robust. The point sits lower in relation to the spine and more in line with the handle which is common among “bushcraft” knives. The Companion Heavy Duty has a longer 4.1″ blade but weighs only a few grams more than the Robust due to the shorter height of the blade (138 grams or 4.86 ounces including the sheath and the “ranger band” I use for secondary retention). It too has a robust, nearly full length tang. This knife also has a slightly more hand filling handle than typically found on the Companion series. It will fit the same sheaths in most cases since the guard area is virtually identical but the rubberized portion of the grip is slightly larger in diameter. It is an extremely comfortable knife to use. I can tell you from my own use that these knives hold up to everything I need them too (then again, so have all the other modern Moras that I have tried). The most important thing I need from a knife is the ability to process wood for a fire and these knives are more than capable of that. The Robust in particular has been batoned through frozen wood on several occasion this year alone. These knives weigh about half what many similarly dimensioned full tang knives weigh and yet than can take all the same abuse (maybe more in some cases). They also cost significantly less. I mean, if you felt it was necessary, you could buy 3 of them – one to destruction test so you know the knife’s limits and two to carry just in case you still fear you might somehow break one in the field. That would still cost you less in cash and pack weight than many “survival” knives! If the thin blade stock and perceived fragility of the standard Mora knives is what has been holding you back from trying one, check out the Robust and Companion Heavy Duty. Try to break one doing something close to a realistic knife task. I dare you.